Rolf Langhammer suggests that China and Germany, consecutively holding the G20 presidencies, should work together proactively to place sustainable cross-border infrastructure investment high on the agenda of the G-20. “Once you start thinking about growth, it is hard to think about anything else”. This statement by Nobel Prize Laureate Robert Lucas could have been the overarching guideline of past G-20 meetings. The 2014 Brisbane Summit Meeting, for instance, named stronger growth even twice in the first two sentences of the Leaders Communiqué. Other issues were subordinated to pushing growth. At the same time, everywhere, even in the poorer regions of the world, the call for a better quality of life and higher well-being of people has become louder. Demands for reducing environmental costs and resource absorption while moving away from one-sided physical capital accumulation with its hefty carbon footprint have become part of an intense public debate in most political systems. China is a prime example for these demands. China’s 13th Five-Year-Plan 2016-2020 whose basic features were communicated at the end of October 2015 targets a lower annual average GDP growth rate of 6.5% towards a “moderately well-off society” and towards more ecological security by sticking to “green” development. The gradual fading-out of investment-driven growth and the new focus on consumption-driven and service-oriented growth has become a key target of China’s socioeconomic development in the near future. China will hold the G-20 presidency in 2016. Its plea for more quality of life and a lower carbon footprint could perhaps be the beginning of a new paradigm for global governance giving a much higher priority to sustainability targets. What China envisages domestically, can be a very useful guide in its proposals to link geographically handicapped regions to the world economy through large cross-border investment projects such as the “Road and Belt Initiative”. While these projects can further the targets of prosperity and inclusiveness by allowing people in remote areas to offer their productive resources to global exchange, it is also acknowledged that these projects must be carefully screened with respect to ecological, socioeconomic and financial sustainability. All three aspects are highly relevant. Technical indivisibilities of large infrastructure projects bear ecological risks. These projects also shape the socioeconomic surroundings of the local population by opening them to new patterns of commerce and consumption thus eventually rapidly erase traditional ones. Finally, these projects have a long gestation period with immediate financial costs, significant medium term maintenance costs and returns far in the future which are difficult to calculate. Financial sustainability is of particular relevance for China as so far China is the main financier of the new multilateral finance institutions (AIIB, NDB, Silk Road Fund) and wants to see them accepted and refinanced by international financial markets. It does not come as a surprise that these challenges led international institutions in the past to be very reluctant with regard to large-scale cross-border infrastructure investment thus giving rise to concerns about a worldwide infrastructure gap. To provide a novel and innovative response to infrastructural needs, however, sustainable cross-border infrastructure investment should be put high on the agenda for the Chinese and German G-20 presidencies in 2016 and 2017, respectively. An ambitious infrastructure agenda, however, cannot be adequately launched and pursued within just one or two years. A medium-term perspective is the adequate timeframe. Here, the G-20 presidency of Germany in 2017 could help. Germany should put cross-border infrastructure investment high on its G-20 agenda, thereby offering its expertise for the explicit consideration of sustainability in all three aspects (ecological, socioeconomic, and financial). Through working on a shared agenda, China and Germany could give a two-year, practicable focus to the G-20 to be pursued and enriched by future G-20 presidencies. 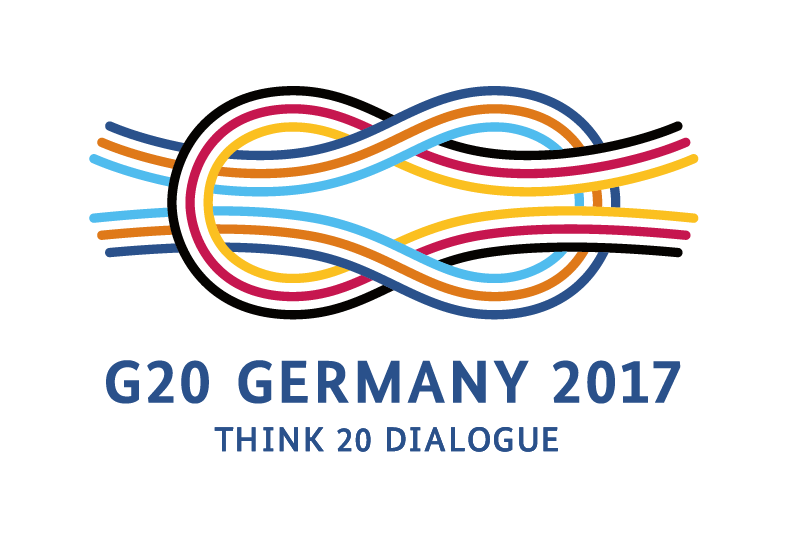 Germany’s contribution to a G-20 cross-border infrastructure agenda would be to collect and bundle all expertise available within the public and private domain of industrialized countries and the established multilateral finance institutions (World Bank, European Bank for Reconstruction and Development etc.) to ensure that cross-border infrastructure investment projects initiated by China meet state-of-the art criteria of ecological, socioeconomic and financial sustainability and to support the acceptance of these criteria by international financial markets. Such criteria would also include targets for transparency in order to cope with the risk of corruption being prevalent in the construction sector of all countries. Furthermore, Germany could use rich experiences from cross-border investment projects within the EU and Greater Europe to tackle the challenges of asymmetrically distributed benefits between partner countries. Chinese-German cooperation across two consecutive G-20 presidencies would not only balance the two objectives of economic transformation and sustainable development. It could also support the multilateral agenda for reducing carbon emissions officially concluded at the COP 21 Paris Conference. Simultaneously, it would acknowledge that a prudential and sensitive view on the risks of unsustainable infrastructure investment does not forego the benefits that a better physical infrastructure offers for the well-being of regions and people which on the long way between China and Europe are today still more decoupled from global markets than they were during the high time of the historical Silk Road. Fay, Marianne and Michael Toman. 2010. Korea-World Bank, High Level Conference on Post-Crisis Growth and Development Conference. Presidential Committee for the G20 Summit. Korea 2010. Lenferink, Sander, Taede Tilleman and Jos Arts. 2012. Towards Sustainable Infrastructure Development Through Integrated Contracts: Experiences with Inclusiveness in Dutch Infrastructure Projects. International Journal of Project Management, Vol. 31, pp.615-627. 2013. Montgomery, Robert, Howerd Schirmer, Jr., and Art Hirsch. 2015. Improving Environmental Sustainability in Road Projects. Environment and Natural Resources Global Practice Discussion Paper 02. World Bank Group Report No. 93903-LAC. The World Bank. 2015. Panayotou, Theodore. 1997. Bridges to Sustainability, Yale F&ES Bulletin, 101. The Role of the Private Sector in Sustainable Infrastructure Development. International Environment Program, Harvard Institute for International Development. Cambridge.